The Alder Field brings a new stream of natural gas to Chevron’s production portfolio and the United Kingdom. Yet this North Sea asset is no newcomer to the country’s energy scene. Discovered in 1975, development of the gas condensate field was considered impossible, due to the challenges of high pressures and high temperatures in the field's reservoir, lying 14,700ft (4,480m) beneath the seabed. Nearly 40 years later, the right combination of technology, infrastructure for processing and export, and commercial conditions made the project viable. Chevron announced its investment decision in January 2014. The project has a design capacity of 14,000 barrels of condensate and 110 million cubic feet of natural gas per day. Follow Chevron’s U.K. Alder Field on its journey from discovery to first production and learn how technology has unlocked its potential. Alder, located 100 miles (160 km) east of Scotland in the Central North Sea, is being developed using a single subsea well tied back to an existing gas condensate field, Britannia, via a 17.4 mile (28 km) production flowline. Produced gas condensate (a mixture of hydrocarbon liquids from natural gas) will be processed in new dedicated facilities on the Britannia platform. Condensate and gas will be exported to Scotland-based terminals at Grangemouth and the Scottish Area Gas Evacuation, St Fergus, respectively. Alder is a satellite field to Britannia, which was the largest natural gas and condensate field in the North Sea when discovered, along with Alder, in 1975. Alder is the latest of several subsea developments to use Britannia’s infrastructure, extending the field’s productive life. The photo shows Alder facilities being installed at Britannia in 2015. After achieving first production in 1998, Britannia produces enough gas to meet at least 8 percent of the U.K.'s energy needs. The field is initially jointly operated by Chevron and Conoco and developed using a single drilling, production and accommodation platform. Production peaked in 2000 at 836 million standard cubic feet per day (scft/d). First oil is produced from the Caledonia field. It's the first subsea development to be tied back to the Britannia platform. The field was developed using a subsea template with a single production well drilled in 2002 by the rig Stena Spey (pictured), with subsea facilities installed the same year. Two more satellite fields come on stream, Brodgar and Callanish. The Britannia bridge-linked platform is installed to receive tie-backs from these two fields (photo shows the new facility with a floating accommodation platform to its right). Enochdhu joins the club. First production is achieved in June from this nonoperated satellite field, developed by a single production well that was drilled and completed in May 2015. The field ties into Callanish, which in turn is a satellite to Britannia. The photo shows tow-out of the 7.8 km Enochdhu pipeline bundle. The Blackford Dolphin semisubmersible rig completes the Alder well, the latest satellite to extend production in the greater Britannia area. Through 2015, Britannia had produced approximately 2.75 billion scft/d. Today, the field is operated by ConocoPhillips (Chevron 32.4 percent interest). Alder is 73.7 percent owned and operated by Chevron. Data sourced from U.K. Economic Impact Report published August 2016, with research independently administered by Aberdeen and Grampian Chamber of Commerce in collaboration with the Fraser of Allander Institute. 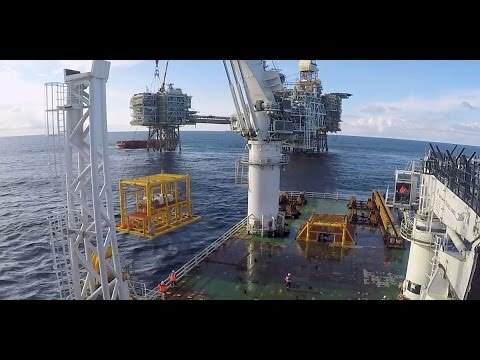 Chevron is applying advanced subsea technologies, most supplied by U.K. companies, to manage Alder’s high-pressure, high-temperature reservoir conditions. Chevron relies on the innovation of local businesses in the United Kingdom as it continues to develop resources in the North Sea. More than 70 percent of the development work for Alder was executed in the U.K. by fabricators and suppliers located in Scotland and England. The total value of the U.K. contracts is more than $660 million (£440 million). With our core vendor Schlumberger, we have increased efficiency by focusing on "total cost of ownership" in response to the pressures of high industry costs and low oil prices, shaving a potential $5.7 million (£3.8 million) off project costs. Since 2006, Chevron has contributed more than $5.25 billion (£3.5 billion) to the U.K. economy through investment in North Sea projects and has paid more than $5.25 billion in taxes to the U.K. government. 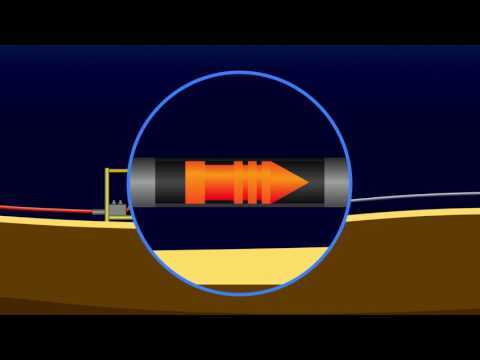 Learn about the innovative technologies Chevron is using at Alder Field in the North Sea in this fly-through animation that takes you from reservoir to platform. The Alder reservoir lies some 14,500 feet (4.4 km) below the sea bed, in the Upper Jurassic geologic zone. At this depth, pressures are 12,500 pounds per square inch, some 400 times that of a typical car tire. The temperature is 300°F (152°C). This type of high-pressure, high-temperature reservoir was considered impossible to develop until recent years. Today we deploy an array of technologies to overcome the challenges. Snapshot of Our Business in the U.K.